How does League’s Worlds viewership compare to the Super Bowl? It’s a lot closer of a race than you’d think. One of the most important metrics to look at when evaluating the success of the esports industry at large is viewership statistics. Why? Well, it’s obvious. The amount of people that watch the big events in esports has a direct correlation to how many people care about any particular esports league. The League of Legends World Championship, for instance, can rack up tens of millions of viewers for a single best-of-five series, depending on the location and teams involved. One of our favorite comparisons to make is weighing the viewers of League esports to viewers of the NFL’s Super Bowl. The NFL is one of the most popular traditional sports in North America, and with how often the “Are esports considered sports?” debate is thrown around, it’s interesting to see how the two compete side-by-side. So let’s see the numbers. How close is the competitive League scene to catching the Super Bowl in terms of viewership? Well, the answer is a little shocking, because it’s a lot closer than you may have thought. The Super Bowl typically nets around 110 million unique viewers, according to stats site Sports Media Watch. At least, it has every year since 2011, with one exception in 2018 when it only reached 103 million. In 2011, it hit 106 million, but the total didn’t breach 100 million at all before that. Every year prior to 2011, the norm was around 90 million. 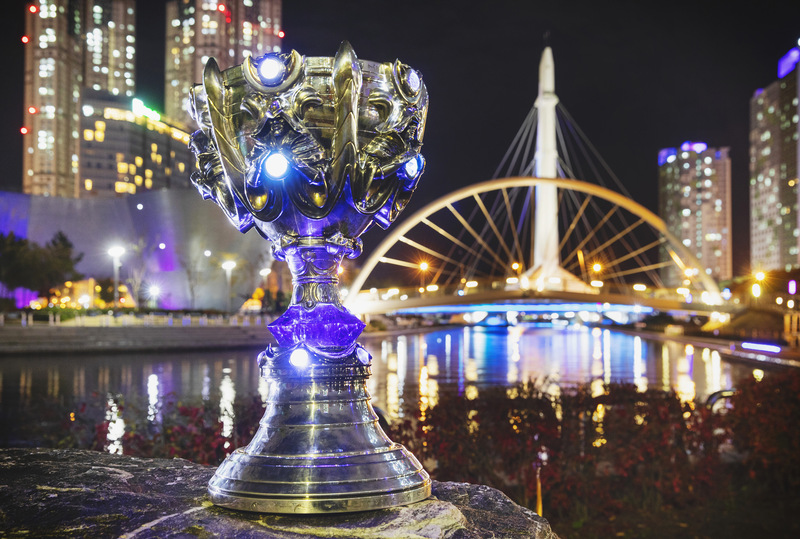 The League World Championship, or Worlds, clocked in at 99.6 million viewers in 2018 for the final series, according to stats provided directly by Riot Games, League’s developer. That means the difference between American football’s biggest event and League’s biggest event in 2018 was a mere 3.4 million people—103 million for the Super Bowl and 99.6 million for League’s Worlds. Unfortunately, Riot doesn’t provide the same statistics every year and for every event, which makes comparing Worlds’ progression with the Super Bowl year by year more difficult. League’s past couple of Worlds have had comparable numbers, though, with 2017’s hitting 80 million live viewers in the semifinals. Riot also shared viewing statistics from that year’s Mid-Season Invitational, but unfortunately it didn’t provide the amount of viewers for any one series of the tournament. For example, Riot shared the total number of viewers over the course of the entire MSI 2017 tournament, 364 million, but it didn’t share the total number of viewers for either the finals or semifinals series alone like it did for Worlds in 2017 and 2018 respectively. It’s currently unclear why Riot reveals stats in such a sporadic way. Unfortunately, Sports Media Watch hasn’t released data on 2019’s Super Bowl, but when it does, we will update this story comparing 2018’s Worlds to 2019’s Super Bowl.